The cryptocurrency market has experienced various ups and downs over the last year. While everyone is talking about cryptocurrencies, there are still many questions to answer. Are you confused if you should invest in Litecoin? Not sure whether the price will go up or down? Well, here’s the good news: All your questions I will answer in this guide. I will cover the basics of Litecoin and share with you our favorite Litecoin predictions. It is difficult to predict the exact future of Litecoin, but we can help you make a better choice. Litecoin is the 7th largest cryptocurrency, with a market cap of over $12 billion. So, what exactly makes Litecoin so popular? An ex-Google employee, Charlie Lee, created Litecoin in 2011. Just like Bitcoin, Litecoin is also a digital currency. It is built on the same blockchain as Bitcoin and can be used to make payments. The biggest advantage that Litecoin offers over Bitcoin is – speed. In fact, Litecoin is called “Lite” coin because it is almost four times faster than Bitcoin. Imagine that you decide to buy your next coffee using Bitcoin — guess how long you will have to wait? Around 10 minutes! This is because 10 minutes is the minimum time it takes to confirm a Bitcoin transaction. Now, imagine that you pay using Litecoin instead – and surprise! It only takes 2.5 minutes to confirm a Litecoin transaction. So, it’d only be 2.5 minutes until you have your favorite coffee in your hands. Anyway, before we get into our Litecoin price prediction, lets first explain the differences between Bitcoin and Litecoin. 4 So, Is Litecoin Worth Investing In? Litecoin is very similar to Bitcoin. Just like Bitcoin, it is built upon the same code. Think of it as the operating system update that you receive on your smartphone. Just like an update aims to improve some of the issues with your smartphone, Litecoin aims to fix some of the problems with Bitcoin. As I explained in the coffee example, Litecoin’s technology can process transactions faster than Bitcoin. Another key difference is the total number of coins that exist. Similar to how the world’s gold supply is limited, so is the supply of cryptocurrency coins. Only a maximum of 21 million Bitcoins can be created. The maximum number of Litecoins is 85 million. To make a payment using cryptocurrency, you are required to pay a transaction fee. That fee is much higher when transactions are sent using Bitcoin rather than using Litecoin. This means that it is not only faster to make payments using Litecoin, but it is also much cheaper. In the case of our regular currency, federal banks can print new notes to increase the supply of currency. This is not the case with cryptocurrency as there is no government that can “print” more coins. Did you know that new coins need to be “mined” in order to be used? Again, just like gold! All you need to know is that mining is the process in which people use computers to discover new Litecoin, Bitcoin and other coins. To mine Bitcoin (or other cryptocurrencies) you need a super specialized and powerful computer, unlike the normal computers you find in retail stores. However, you could mine Litecoin with a normal computer, just by adding a few graphical processing units (GPU). So, if you decide you want to own Litecoin but don’t want to buy it on an exchange, you might want to think about mining it. For this very reason, Litecoin is accessible to more people than Bitcoin. Which is why Litecoin is often referred to as the silver of cryptocurrency and Bitcoin is referred to as the gold. The differences between the technology of the two coins has a major impact on their prices. Now that you know how Litecoin’s technology is different to Bitcoin’s technology, it will be easier for you to understand our Litecoin projections. Litecoin has been one of the best performing cryptocurrencies in the last 12 months. If you bought Litecoin at the beginning of 2017 when its price was at $4.5, you would have made a gain of almost 8000% by the end of the year! That is almost 80X your investment. So, if you had invested $500 in January 2017, you would have made a profit of almost $45,000 when the price of Litecoin reached the highest point in December 2017. You can see the historical price trend of Litecoin in the chart below. There is no doubt that Litecoin has shown huge amounts of growth last year, making it one of the top ten cryptocurrencies by percentage growth. Another important thing that you should know before we get into our Litecoin projection is that Litecoin has a high trading volume. This means that more and more people are selling and buying Litecoin in the cryptocurrency market. Litecoin is fourth in terms of trading volume, just after Ethereum. There is no doubt that the cryptocurrency market moves very fast, making it very difficult for investors to decide how to choose the best investment options. In this situation, it is best to do your research to help you understand what the current market trends are. 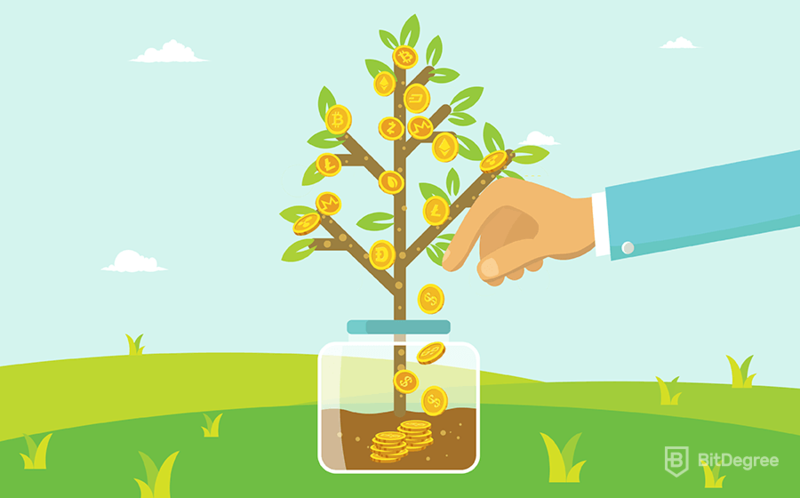 In fact, you should always contact a financial expert before making any major investments. Listed below are the top Litecoin predictions, which you can use as a starting point in your research to help you understand the market better. First, let us explain technical analysis so that you have a clear understanding about the basis of this prediction. The technical analysis considers only the facts of the past and present price trends, and trading volume trends. It does not consider things such as how good the technology behind a cryptocurrency is etc. Technical analysts run the data through mathematical functions to come up with price predictions. What is good for us is that we do not need to worry about the mathematical part as there are many analysts who perform the analysis and share it on the internet. Walletinvestor.com, a website that performs technical analysis, has made a 1-year Litecoin price prediction of around $0,000001. They predict that Litecoin could be a tragic investment option in the long run. Another technical analysis website believes that if Litecoin crosses the $220 mark, it will be the starting point of a further price rise. Their Litecoin price prediction, for the short term, is set at $300. Another kind of analysis, called the “Monte Carlo” analysis, has been performed on Litecoin. What it predicts is a price range of $6 to $507 for Litecoin up to November 2019. Yes, I know what you’re thinking — That is such a huge price range to predict! Right? Well, what we can take away from this analysis is that the price of Litecoin, like other cryptocurrencies, may change a lot this year. See, it is not completely useless! There are many predictions that say Litecoin’s growth will be higher than that of Bitcoin. Nobody really knows what will happen, but here are some good reasons as to why there are predictions like these. According to oracletime.com, the advantages of Litecoin over Bitcoin will interest many new investors. 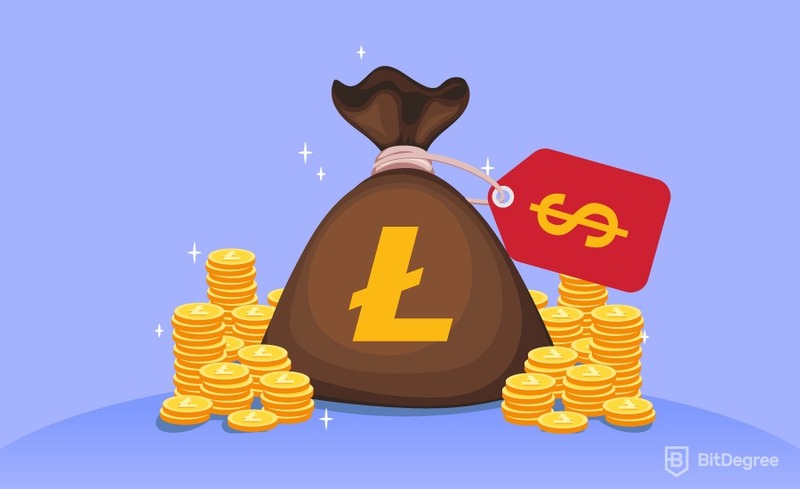 Their Litecoin price prediction for the end of 2019 is $1000, but there are predictions that it could even rise up to $2000! There is another projection by investingpr.com that expects the price of Litecoin to reach up to $1000. They expect that more investors will start to invest in Litecoin as they look out for options other than Bitcoin, and to cut down their risk. Just how Bitcoin is often compared to gold and Litecoin is often compared to silver…what do we do with gold in real life? Store it. Similarly, Bitcoin will be used for storing value, while Litecoin will be used for transacting. Yes, it is true that Litecoin has advantages over Bitcoin. However, it is also true that Litecoin might be losing some of its advantages which relate to mining and costs. So, as much as the Litecoin projections above might make you want to invest. You should first take a look at the other factors before making a decision. You might be asking yourself, who is John McAfee? Even if you are just slightly serious about investing in cryptocurrencies, then it is time for you to recognize the name. John McAfee is a big-time crypto investor and a very active promoter of cryptocurrencies. His price projections can have a real impact on the prices of cryptocurrencies. So, what are his views on the future of Litecoin? John McAfee believes that Litecoin has not risen in value as much as it should have. He said that Litecoin can rise just as much, if not more, than Bitcoin. If we believe that John McAfee’s prediction for Bitcoin is correct, then who is to say that he is wrong about Litecoin. George Tung, a cryptocurrency analyst, had his say on the Litecoin price prediction. He said that the price of Litecoin rise as high as $1500 in 2019. He is not alone as there are many experts and analysts that believe the price of Litecoin price will continue to rise in 2019. How much can it rise to, though? Well, I guess only time will tell. But at least you now know what the experts are making of it. One of the reasons why many believe that Litecoin will perform well this year is because of the return of Charlie Lee, the founder of Litecoin. He left Litecoin and decided to join Coinbase, but has very recently become an active member of the Litecoin team again. Charlie Lee has said that 2019 will be a good year for Litecoin. However, he has refused to give his projected price of the cryptocurrency. Cryptocurrencies have started to get attention from Wall Street traders and investors too. Just like us, they couldn’t stop themselves from taking an interest in cryptocurrencies. Wall Street has lots of experience when it comes to making investments in stocks and other assets. Which means they should have a good idea of what is, and what isn’t a good investment. Kelly, the head of BK Capital Management (LLC), is a Wall Street trader whose job is to keep a track of the cryptocurrency market. BK Capital Management is a company whose focus is to make investments in cryptocurrencies. Kelly gave a Litecoin price prediction of $500 for 2019, so that might be a prediction worth listening to. Kelly is positive about Litecoin because of the advantages it has over Bitcoin. He thinks that the quicker transactions and low fees are what makes Litecoin an attractive investment option for everyone. Try thinking of Litecoin as iPhone X and Bitcoin as iPhone 8. The only difference is that iPhone X is cheaper in this case. If you are planning on investing in Litecoin for the long term, then it is a good idea to look at Litecoin price predictions for 2020. Longforecast.com is a website that specializes in giving long-term financial forecasts using technical analysis. Longforecast.com’s Litecoin price prediction 2020 is in the range of $780 to $1374. Oracletimes.com is another website which expects the Litecoin price to be $1000 by 2020. This projection is based on Litecoin’s 2017 performance —which was better than Bitcoin’s 2017 performance. However, it is not based on technical analysis or an expert opinion. That is why you might want to focus more on other predictions. There are few other factors which could affect the future of Litecoin. The changes made to the technology of Litecoin itself is an important thing to take note of. Litecoin recently went through an event called a “Hard Fork”. Let me explain it to you what is a hard fork. Simply put, it splits the cryptocurrency into two. One part of the split is still the older version, Litecoin in this case. The other part of the split results in the birth of a new cryptocurrency, which in this case is Litecoin Cash. Litecoin Cash claims to offer certain advantages over Litecoin, but we will save that discussion for another time. So, what happened when this split took place? Well, something good should have happened, but nothing did happen. In fact, Litecoin has performed very well since the hard fork while Litecoin Cash hasn’t. Coindesk has also had its say on Litecoin price prediction. They believe that if Litecoin stays above $240 for a short period of time, then it could reach the $300 mark very soon. According to them, Litecoin could benefit from the positive news of founder, Charlie Lee, and the launch of its new features. Can you imagine playing a football game without any referee? It would not work well, right? Well, that is how the cryptocurrency market is working right now — there are no regulations in place! This will all change soon, though. Regulators from all around the world have become very active when it comes to cryptocurrencies. No one knows what impact the regulations will have on Litecoin’s future, or any other cryptocurrency. What we do know is that these regulations could slow down the market in general. Which could have a similar effect on the Litecoin forecast. I recommend that you keep updated with new cryptocurrency regulations as it will help you keep your investments secure. So, Is Litecoin Worth Investing In? As you can understand, there is no simple answer to this question. It is very difficult to predict what the price of Litecoin could be in 24 hours — and even harder to predict the price of Litecoin in a year’s time. But, what we can see from the Litecoin price predictions above is that Litecoin is moving in a positive direction. It has the technological strengths that could help it to become even more popular in the crypto world. I think that technical analysis and expert advice is something you should always consider before investing. I also believe that regulations could have a big impact on the future of Litecoin. So, it’s important that you learn about these regulations, especially in your country. Even the biggest investors and experts of cryptocurrency find it difficult to predict the future of cryptocurrency. So before investing, you should do as much research as possible and plan your investments so that even if the prices fall, you are still safe. Most importantly, do not invest all your money into just one cryptocurrency. Even if you find one of the above Litecoin price predictions to be very attractive, never invest more than you can afford to lose. So, after reading our guide, what do you think about Litecoin? Do you have a Litecoin prediction of your own? Let us know!